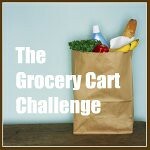 The Grocery Cart Challenge: Are You Paying For Food Or Convenience? Are You Paying For Food Or Convenience? Saving money at the grocery store doesn’t necessarily mean making drastic life changes or eating different foods. Sometimes the first step is as simple as just being aware of the true cost of what you’re buying. Many of us are under the mistaken assumption that we save so much time in our busy lives by buying products that are ready to eat. Pre-washed, pre-chopped, and serving size packages are all the rage with our busy lifestyles but are they really worth the extra cost? A lot of what we pay for isn’t just the product, it’s the expense of someone taking an extra step in the preparation of the food. It’s usually a step that we could easily take ourselves with just a few extra minutes. So let’s take a look at a few examples so you can decide for yourself if it’s really worth it. You know those handy pre washed bags of lettuce setting in the produce aisles? Most people still take the extra precaution of washing them before eating because of the e-coli scares in the past. So really, the only convenience in that bag of lettuce is that someone has already chopped it up for you. How hard or time consuming would that be to do yourself? Maybe this piece of information will help you decide. 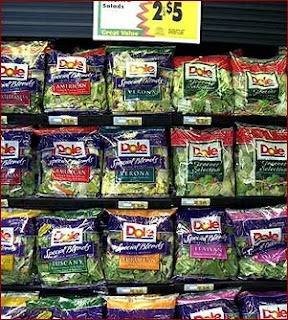 A 15 ounce bag of pre-chopped Romaine lettuce costs approximately $2.68. The equivalent bought in it’s original form costs approximately $1.26, less than half the price. I’d be willing to take 60 seconds to cut my own bite size chunks if I could save over 50%. Aren’t those little baby carrots cute? Those were the idea of California farmer MikeYurosek who was tired of seeing the carrots that were too knobby, twisted, bent or broken, get wasted. Instead he cut them into 2-inch sections, pumped them through water-filled pipes into whirling cement-mixer-size peelers and whittled them down to the bite size bits Americans love to eat. So in essence we are paying someone else to peel our carrots and make them look pretty and uniform all for a jacked up price. A one pound bag of baby carrots costs $1.38. A one pound bag of regular size carrots costs 49 cents. I’m willing to take 5 extra minutes to peel them, chop them and keep them in the fridge for a quick snack during the week at a nearly 2/3 savings. A 2 pound block of medium cheddar cheese costs $4.48 . The equivalent of pre-grated medium cheddar costs $7.00, a mark up more than $2.50. If you have a food processor with a grating attachment this is a matter of 60 seconds to grate it yourself. If you’re using an old fashioned hand grater it might cost 5 minutes of your time. If you’re afraid that much cheese might go bad before you use it, it can easily be frozen. Place the grated cheese in freezer bags and store up to 6 months. Thaw in the refrigerator when ready to use. The freezing might slightly change the texture of your cheese but the flavor is still there and if you’re using it in cooking you won’t notice the difference. These are just a few examples of simple ways that you can save at the grocery store. My hope is that next time you’re filling your grocery cart you’ll take a second look at the package your tossing in and ask yourself, “Could I have done that myself?” When that becomes second nature you’ll be well on your way to a slimmer grocery bill and some extra cash in your pocket. Not to mention the envronmental costs of all the prepackaged foods. This is a great reminder to everyone. But, everyone has priorities, and for some people time is money. I bought a bagged salad mix the other day, but for me it was totally worth it because I hate washing and chopping up lettuce and the fact the lettuce takes so long to dry (I know, I should invest in a salad spinner). But for the most part, you are totally right. I made my own yogurt the other day in the crockpot. It cost me probably a 10th of the price I would normally pay for those convenient little over-sweetened cups of yogurt, and it tasted so much better. I heartily agree with everything except the cheese. I've heard this caveat for a long time now, but in my stores the per lb. cost - for store brand cheese - is the same for block and pre-shredded. Thanks for this post! I have been doing this same thing for the past few years and have significantly cut down our food bill. With 4 kids now it's more important than ever. Thanks for the tips and tricks, they are well worth it. That's what I've been doing to cut down costs. I went from making a lot of 'boxed meals' to making things from scratch. I'd rather pre-soak my kidney beans than buy canned. It also helps control ingredients, now only if I could get the basic spices for all my favorite packet mixes lol and have them taste the same. What a GREAT article! I try to buy the non-prepared foods, but sometimes am lured in by "sales" or a busy week. Great reminder that I'm not really saving money or a lot of time. Thanks! This is so true! I have also noticed in the past that those "convenience" items go bad much faster. A head of lettuce will not spoil nearly as fast as the prechopped salad. Same with whole unpeeled carrots. They last quite some time, while the peeled baby carrots tend to get slimy fairly quickly. I keep looking for block cheese that is cheaper, but have never found it! It is the exact same price shredded! You can also grind your own meat and cut your own steaks. We often buy big chunks of meat and grind (we have a meat grinder attachment for our stand mixer) or cut it ourselves. I love ground chicken and doing it ourselves is much cheaper! I can sometimes find sale prices on the bag salad and baby carrots that equals regular lettuce and carrots---when that happens I buy them. I think things like beans can be a big payoff too. Cook them in a crockpot, then freeze in zip bags in can size amounts. plus, no salt! Sometimes convenience is a lifesaver! Yes, I do try to compare the prices but as far as fruits and vegetables - if my family will eat it then sometimes it's worth it! I don't buy the expensive precut deli selections (unless on massive markdown) but my kids will eat the bagged carrots (they don't like the "regular" ones). I got fed up rinsing and tearing romaine hearts so finding the big bag (2-3 lbs) for $3-4 is worth is to me! So much time saved (I don't rinse it) and keeps water from running down my arm. I don't know if you can put those big pieces into a salad spinner (I don't have one). I've thought about starting to make my own tortillas though. I can't find whole wheat (at a reasonable cost) here since we moved. This is an area that I've added to the "resolution" list. Being a household with two parents working outside the home and a one year old, we've become much to reliant on prepared, convenience food. Its something I'm working on...thank you for the extra push!! I'm with others on the cheese--at our stores it's the same shredded or in block form. I tend to buy it in block, though, because it's not coated in cornstarch. Our stores do this annoying thing where, if you don't want the 10 oz bag of spinach for $2.20, you end up buying 6 oz for $3.60. I know buying in bulk is generally cheaper, but it's SPINACH. And 10 oz of spinach salads is a lot. Annoying to pay a markup for wanting to avoid food waste. Not to mention that pre-shredded cheese is coated with stuff so it doesn't stick together (it says it in the ingredients even!) and baby carrots are put through a chlorinated wash. YUM!!! I do buy expensive bagged salad in winter though. The rest of the year we clip our own from the backyard. It's hardly dirty and we get how much we want. at my stores the pre shred is cheaper by alot then the block its sold by the lb even the kraft shred is like 2 dollars cheaper then the kraft block! I agree with noelle about the chemicals on the pre-shredded stuff. It's cheaper where I live and it tastes SO much better freshly grated. Thanks for the encouraging article on convenience foods! I agree! Also did you know that those baby carrots are treated with bleach?? Amen! When my kids and hubby look in the fridge and cupboards they sometimes say "there is no food -- only ingredients!" Yep, so they've learned to prepare and to cook! 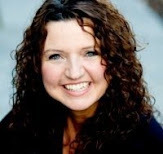 Thank you for a great post!! No one has mentioned my pet peeve convenience product--microwave popcorn. Wow, it's very expensive for the small portion you get, plus look at the ingredients--yuck! Today at the store I saw a fairly small bag of pre-made kettle corn for $4.99!! I could make the same amount at home from scratch for pennies. Ahhh no wonder my stomach is often bothered after eating those cute little carrots--I cannot even drink chlorinated water without getting ill and it also bothers my hands; so I often purchase the bagged salads although I do prefer the fresh so much more. Thanks for the pointers; really appreciate them. The "orginal" salad spin was a clean pillow case LOL. My kids have gotten away from convenience foods as their families have grown. I never was much of one to begin with.Microwave popcorn was my weakness,until my doctor told me it was the worst thing I could stick in my mouth.Three months after stop eating it, my chorlesterol dropped 105 pts. Bought a popcorn popper from the local Amish store.Makes enough for me to have 2 nights of popcorn.I only butter half the first night and warm the 2nd night's up in the microwave a few secs before adding butter. I wrote a post on this exact subject a few days ago! When my husband and I saw the difference between the big bag of dog food and the smaller bags, and did the calculations, we were shocked! It went from $1.22 per lb. to $.55 per pound. I couldn't believe it! Here's a link if anybody's interested. Your carrot comparison got me, I have to admit I'd been buying baby carrots thinking I wasn't doing very badly but NO more. I can chop my own if I save that much! I do have to say that I used to find bagged salad when the produce manager marked it down a couple of days before the sell buy date and it was a lot cheaper than buying all the ingredients for just 2 people. It was the Italian mix though, with radichio (however you spell it) and other expensive lettuce so I'll pay $1 or $1.50 for a big bag of clearance salad but other conveniences aren't worth much. It gets hard for 2 people to buy things and not let htem go bad but we're working on it! Thanks for this post. I saw those differences so clearly. There are many shortcut buys, I used to make until I realized what I could do with it. So I got a mandolin and a cookie scoop instead.